There are things in life which are just not done. In football terms, could you imagine a Juventus supporter walking into the Inter club in Milan or vice versa, or say a Real Madrid supporter sitting among Barcelona fans all clad with his Real Madrid memorabilia as he watches a game his side is playing against their arch-rivals. When French chocolatier Patrick Roger opened in Place Sablon, Brussels there was nothing short of an uproar. How dare a French open a chocolate shop on the Belgian square most famous for its chocolatiers. Then again Pierre Marcolini has also opened a chocolate shop in Paris. Now, there is another reason for some to worry about. 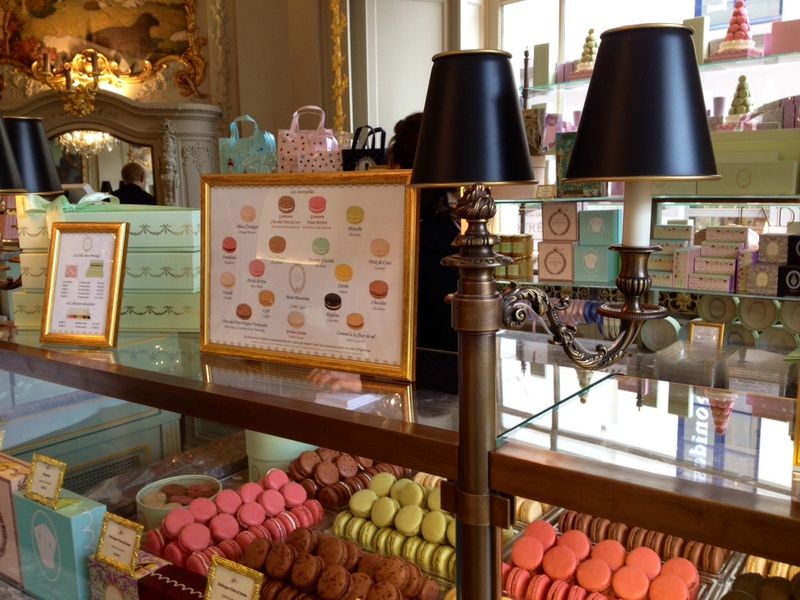 The famous French patisserie Ladurée, known in particular for its macarons opened last Friday on Place Sablon. Competing with Wittamer and Pierre Marcolini, this makes the Place Sablon all the more interesting for foodies. A Michelin starred restaurant Senza Nome is also set to open on Rue Royale just off Place Sablon later this year. 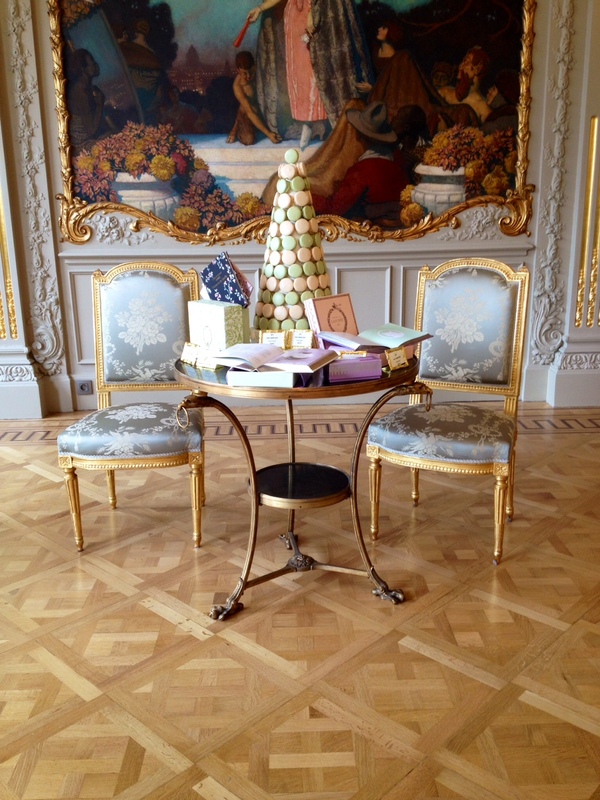 Ladurée opened without much fuss on Friday. I have not really come across the news that they were opening a shop in Brussels though they already have one in Antwerp. A search on the internet however quickly led to this article about the ‘controversial works’ that were taking place in the former auction rooms of Pierre Bergé. 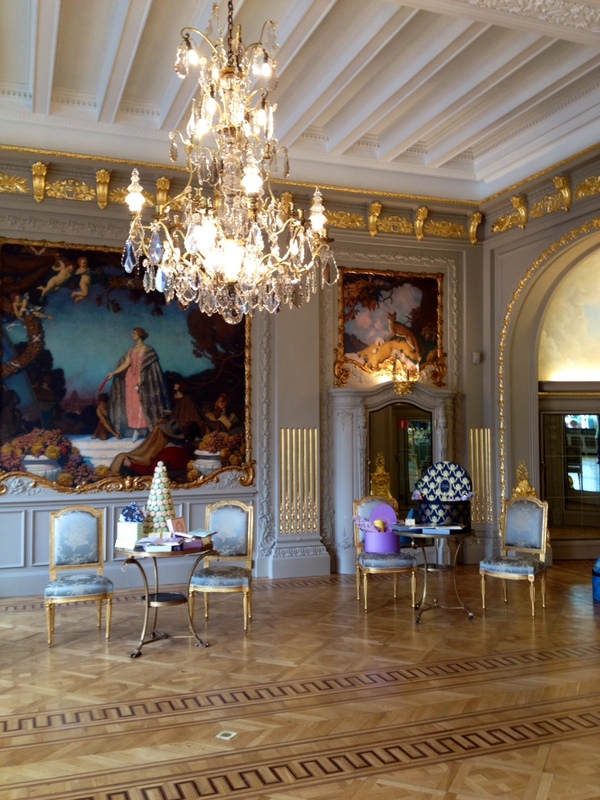 So we stumbled upon Ladurée by chance soon after it had opened. The shop is worth a visit because it is stunning. The shop window and interior displays are nothing short of amazing. Here you will find a large selection of their famous macarons which are any patissier’s nightmare because of the difficulty to make them. Ladurée’s Parisian tea rooms’ history began in 1862 when Louis Ernest Ladurée, a miller from the southwest of France founded a bakery in Paris. In 1871, a fire in the bakery opened the opportunity to transform it into a pastry shop. The decoration of the pastry shop was entrusted to Jules Cheret, a famous turn-of-the-century painter and poster artist. Maybe Ladurée became most famous in September 1997 when they opened a restaurant and a tea room on the Champs-Elysées. 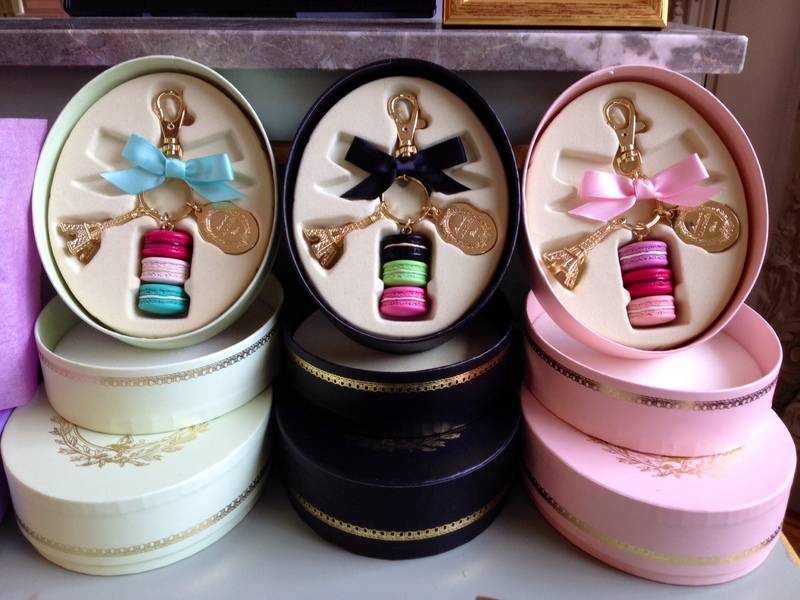 Now, nearly any visitor to Paris will at least come across Ladurée. Trying their macarons, one can understand why they are world famous. Having tried the macarons of Pierre Hermé, I am not sure which are better though I recall those of Hermé to be exceptional. Now Belgians and visitors in Brussels alike can compare between the top patisseries in Brussels and a Paris based one and judge for themselves.